Flip a coin. If heads, each Defending Pokémon is now Asleep. 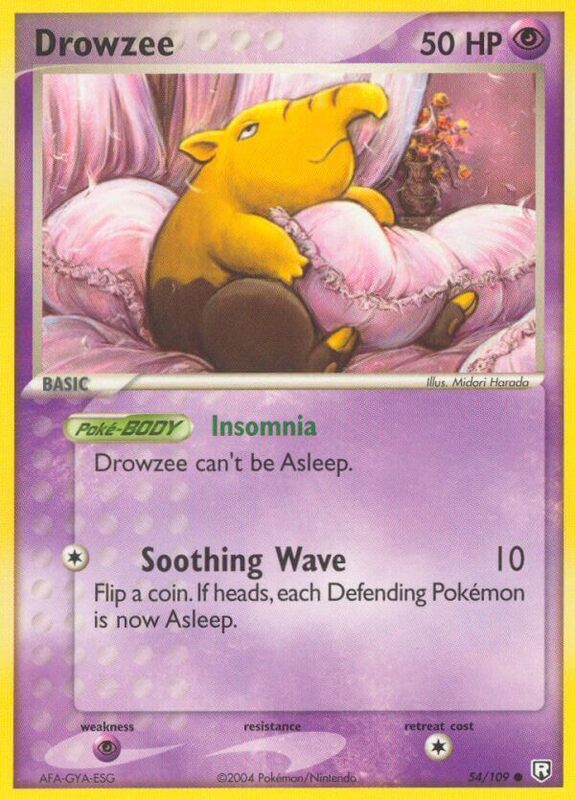 One has to wonder whose incredibly fancy bed Drowzee is relaxing on ..and what terms the two are on. If you think about the size of a normal pillow, we realize this is probably a baby Drowzee, which is actually pretty amazing.